Her Wonder Woman costume is Thompson’s own design, and Thompson explains how Diana acquired her famous tools here–her lasso, her tiara, her gauntlets, her “golden girdle.” This Wonder Woman is bound to be the next popular cosplay costume, especially with Wonder Woman finally getting her own film next year. 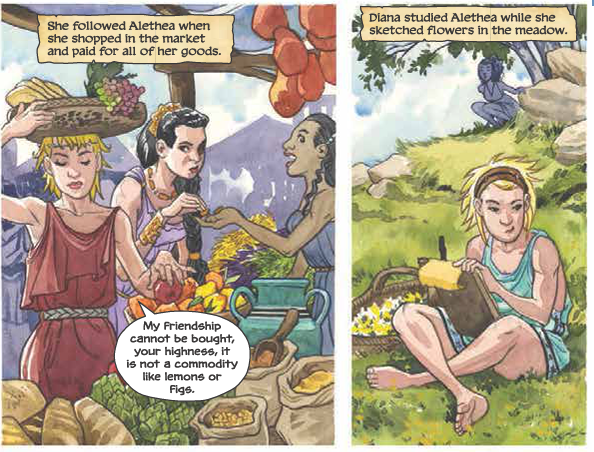 And don’t be surprised if this superheroine looks a bit like the artist–like other characters Thompson has worked into past books (Thompson has also served as a model for other artists, including the great P. Craig Russell), Diana resembles Thompson here, too. Thompson is known for many past successes, everything from her work on Sandman to Swamp Thing and Dead Boy Detectives to Scary Godmother. Our favorite is the award-winning Beasts of Burden series from Dark Horse Comics raved about here at borg.com on multiple occasions. This lavish edition has end papers, thick pages, incredible color work, and Thompson shares her process with readers in a ten-page appendix. 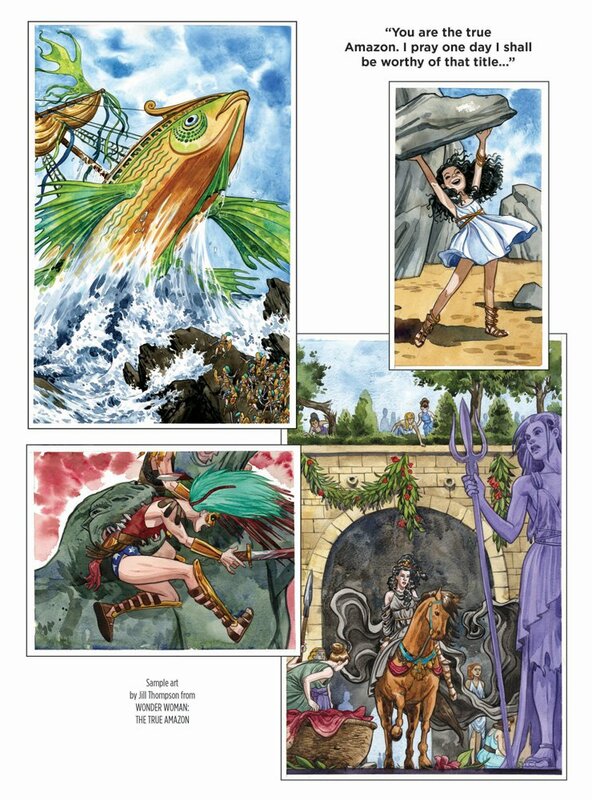 It will fit nicely on your bookshelf alongside comic book classics like David Wenzel’s The Hobbit and David Petersen’s Mouse Guard, and, of course, the previously mentioned Green Arrow: The Longbow Hunters. 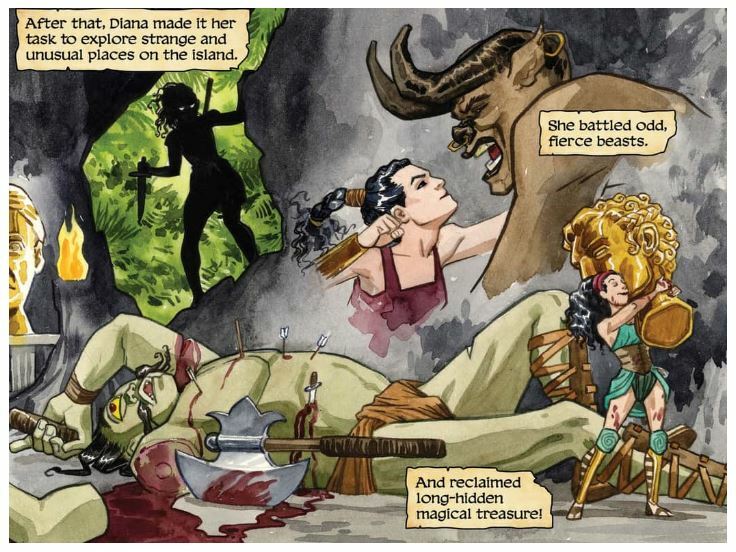 So don’t miss out on the best Wonder Woman book in years, and one of DC Comics’ finest publications in several years. 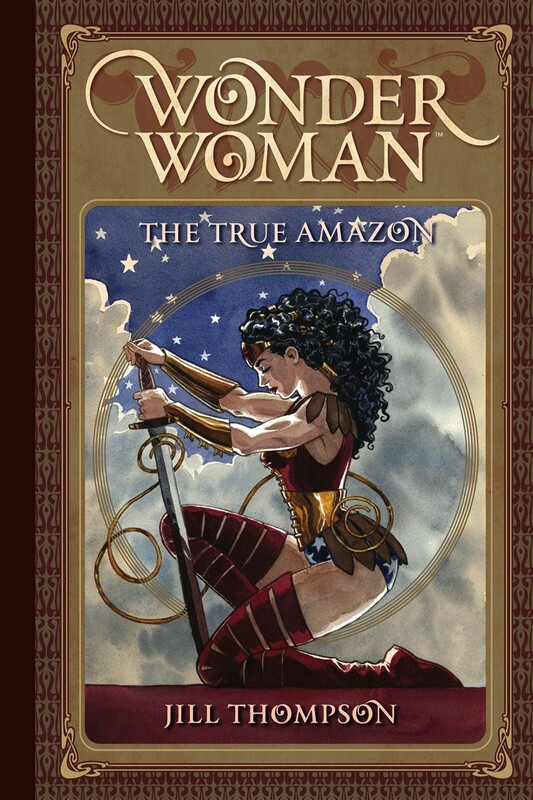 Wonder Woman: The True Amazon is available at your local comic book store now or here at Amazon.com.